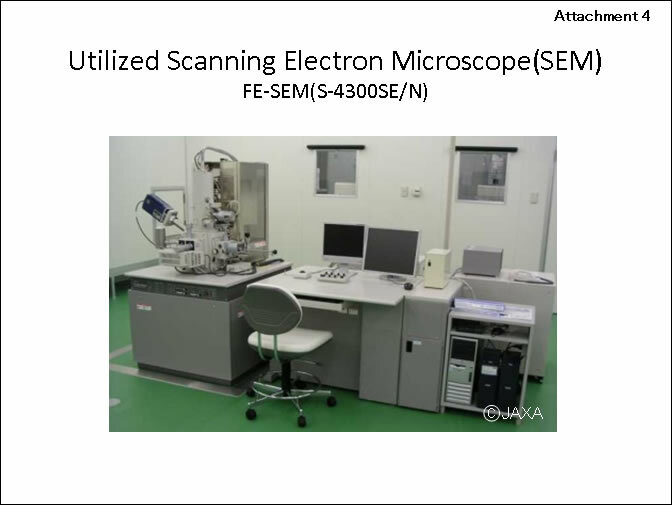 JAXA has been engaged in collecting and categorizing particles in the sampler container that were brought back by the asteroid explorer "HAYABUSA." 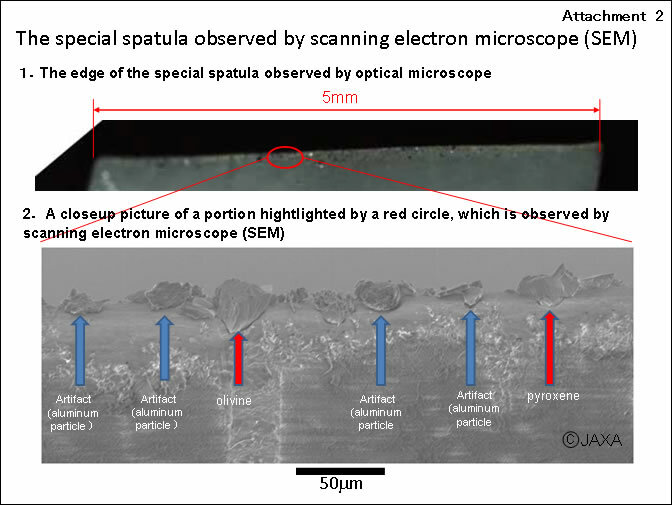 As a result of the scanning electron microscope (SEM) observations and analyses of the samples, about 1,500 grains were identified as rocky particles, and most of them were judged to be of extraterrestrial origin, and definitely from Asteroid Itokawa, after further study of the analysis results and comparison of mineral compositions. 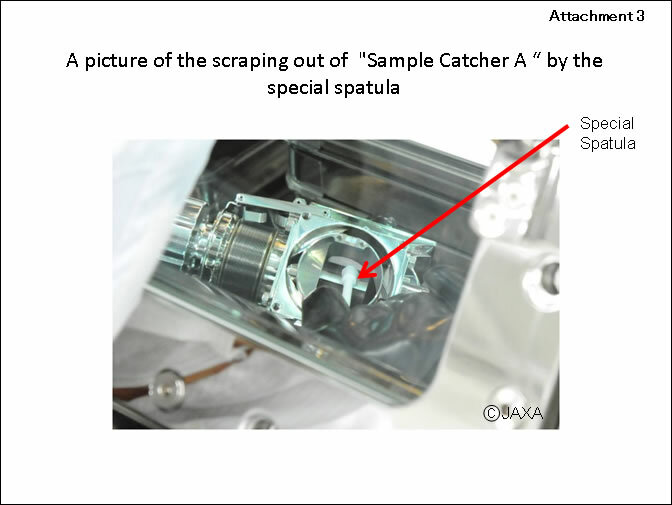 * The Hayabusa sampler container consists of 2 compartments which are called as "Sample Catcher A and B.